The Franklin Arts Center is home to a wide variety of literary, performing, and visual artists. The residential wing of the FAC has a total of 25 open-concept apartments, ranging from studio to 3 bedrooms, and provide live/work space for low-income artists and their families. These apartments fill quickly, so if you are an artist interested in making Franklin your home and being an active member of our arts community, contact the office at 218-454-0824 or email property manager Deb Lee to be added to the waiting list. 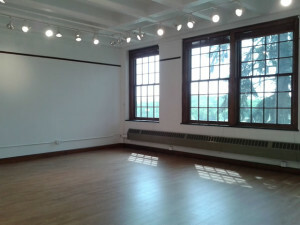 The Franklin Art Center has commercial studio space available for lease to individual artists and arts-related organizations. These spaces vary greatly in size and character, from 162 square feet to 2,424 square feet. The FAC also has smaller cubicle spaces available for artists looking for a smaller, more affordable workspace. Franklin Pottery offers kiln and wheel access along with project storage and workspace to local potters starting at $35/month. Contact us today for more information on becoming a member of Franklin Pottery! 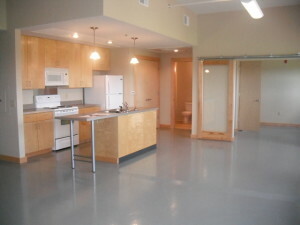 COMMERCIAL STUDIO SPACES CURRENTLY AVAILABLE! The Franklin Arts Center is also home to two gyms, a football field, and a beautiful theater which are managed and maintained by the Brainerd School District. If you are interested in renting any of these facilities for your event, please contact Lisa Stawarski at 218-454-6953.